Be the first to share your favorite memory, photo or story of Angel. This memorial page is dedicated for family, friends and future generations to celebrate the life of their loved one. 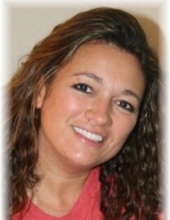 Angel Shackleford, Age 51, of Destin, Florida passed away suddenly Tuesday morning, February 26, 2019. Angel was born in the Summer of 1967 in West Palm Beach, Florida to Dairl Cantrell and Geneva Sparks. She is preceded in death by her father, Dairl Cantrell, and her brother Marvin Hensley. Angel is survived by her husband, Bill Shackleford, mother Geneva Sparks, and children Jennifer (James) Shutts, Holly (Blake) McEachern, Derek Jones, Jon Paul Kidwell, Brandon Jones, and Gunnar Smith. Angel had three beautiful grandchildren: Jace, Olivia, and Ellie Shutts and would also have soon celebrated a fourth grandchild, Everett Cash McEachern. She is also survived by six (6) siblings: Betty Sue Hylton, Rhonda Williams, Luella Jones, James Sparks, Junior Crabtree, Bonita James, Brenda Howard, and numerous nieces and nephews. When she wasn’t in the kitchen perfecting her own recipes, you could find her soaking up rays at the beach, fishing with Holly and Gunnar on the pier, or riding on the back of Bill’s bike with the wind in her hair. She loved coaching Little League sports, blasting Bon Jovi on the radio, praising God wherever she went, and opening her heart and her home to anyone and everyone in need. She never met a stranger and she lived her life according to the greatest commandment given: love one another deeply. Angel was a beautiful, loving, compassionate, giving, nurturing, talented, Christian woman, and was truly loved by everyone who had the privilege of knowing her. She was an amazing wife, mother, grandmother, aunt, sister, daughter, and friend. She was the rock and anchor for her family. She was their provider, she brought them together as a family, she prayed for them, believed in them, cheered for them, doctored them, lifted them up when they were down, listened when they needed a shoulder to lean on, she encouraged them to follow their dreams, but most of all she loved her family with all of her heart! She was truly an Angel. She will be greatly missed but continually remembered for the incredible legacy of love she left behind. The funeral service will be held at 1:00 on Saturday, March 2, 2019 at Emerald Coast Funeral Home in Fort Walton Beach, Florida. Visitation will be held from 12:00 – 1:00 prior to the service. There will be a private family burial for Angel in Siler City, North Carolina on March 6, 2019. For those who would like to pay tribute to Angel, you may either send flowers to Emerald Coast Funeral Home or; if you prefer, memorial contributions can be made to GoFundMe via the Angel Shackleford Memorial Fund. To plant a tree in memory of Angel Shackleford, please visit our Tribute Store. "Email Address" would like to share the life celebration of Angel Shackleford. Click on the "link" to go to share a favorite memory or leave a condolence message for the family.